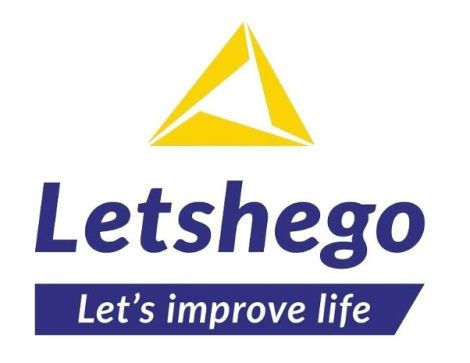 Letshego Holdings Limited has announced its financial results for the first half of 2018, affirming solid performance across key areas of the business. Highlights include double digit growth for the Group’s profit before tax, as well as gross loans and advances compared to the same period last year. Profit before tax was up 19 percent to BWP590million, with gross loans and advances increasing by 12 percent to BWP8.7 billion. Operating income increased by 15 percent following the expansion of various strategic initiatives, including agency banking, mobile digital platforms, strategic partnerships, cross selling and the launch of new solutions in select markets. Operating costs increased by 17 percent, which included BWP10 million in once-off costs following a write down of redundant IT equipment as the Group prepares to migrate to a cloud environment. A higher effective tax rate of 38 percent resulted in a lower increase in profit after tax for the period of 11 percent. Impairment provisions increased 37 percent following the implementation of new accounting standards, ‘IFRS 9’ as of 1 January 2018. This meant a BWP150 million decline in the Group’s retained earnings, and an increase in impairment provisions from BWP402million from BWP552 million. IFRS 9 has also resulted in an increase in the Group’s Coverage Ratio to 95 percent (IAS 39 FY 2017: 70 percent). Positively, Letshego Group’s loan recoveries continue to improve, however, Nigeria, Tanzania and Uganda experienced an increase in impairments this first half of 2018. The Group continues to see gradual growth in deposits, with Mozambique and Rwanda seeing greater momentum in deposits than other markets in the Group’s footprint. Following Letshego Ghana’s launch of ‘Qwikloan’ late 2017, in partnership with MTN Ghana, more than 2.5 million in loans have been disbursed to over 600,000 customers. Letshego’s Affordable Housing and Education Eco-System solutions remain key drivers of growth in the Group’s MSE (Micro and Small Entrepreneurs) loan book – together the two solutions constitute 6 percent of the total loan portfolio. In support of Letshego’s financial inclusion agenda, the Group remains focused on increasing digital access channels, as opposed to adding more physical outlets to its regional footprint. Digital channels include USSD, Agency Banking, Direct Sales Agents and Cards. In the first half of this year, Letshego has doubled the number of independent agent access points and increased USSD registrations by more than 50 percent. Cards, the Group’s most recently launched channel, is achieving positive progress in roll out to customers in Namibia, Nigeria and Tanzania. Colm Patterson, Group Chief Financial Officer for the Letshego Group commented, “We are pleased with the Group’s good performance for the first half of the year. Letshego’s ongoing success in forging strategic partnerships, rolling out our LetsGo solution in select markets and mobilising our focus and strategy continues to deliver dividends.